That's right, guys. Astral Crusaders: The Standard Bearer is to appear in the second issue of the new hit magazine SCI FI MAX. Issue 00 will be released digitally on 2 June. 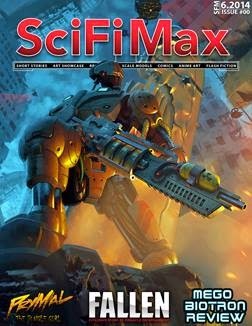 Check it out, it is full of everything Sci Fi - comics, stories, art, articles, gaming, models and so much more.